Orland Park Chapter 13 Attorney | Johnson & Johnson, Ltd. Skilled Orland Park chapter 13 attorney. The decision to file for bankruptcy can be a stressful one. If you have been struggling financially you may feel as though you are drowning in debt. You do not need to worry about your financial situation any longer with help from a skilled Orland Park chapter 13 attorney. The attorneys at Johnson & Johnson, Ltd. have the experience and knowledge to help you through this difficult situation. The choice to file bankruptcy will likely bring you immediate relief and help you achieve a new financial beginning. There are several types of bankruptcy that may be filed. Chapter 13 is most commonly utilized by individuals who are able to make repayments and are employed. Chapter 13 bankruptcy is also called “reorganization” and is sometimes called “wage earner bankruptcy.” This type of bankruptcy utilizes debt consolidation to allow for ongoing monthly payments that are more manageable. Your current debts will be determined and a repayment plan put in place if you are able to make monthly payments. An Orland Park chapter 13 attorney will help structure your repayment plan. Since you will be making regular ongoing payments, you will probably be able to keep some, if not all, of your important possessions. You can learn more about the process when you meet with a reputable Orland Park chapter 13 attorney. A chapter 13 bankruptcy may be preferable to chapter 7 bankruptcy, however, in some cases, you may not meet the qualifications for a chapter 13. If this is the situation in your case, you have the option of filing for a chapter 7 bankruptcy. There are several advantages to filing Chapter 13 bankruptcy. One of the most important benefits is that in many cases you may be able to keep non-exempt property such as your vehicle and your home. Chapter 13 bankruptcy allows you to set up a repayment arrangement that may last three to five years. During this time you must make the required payments. Once this is accomplished your included debts are considered resolved. Of the basic bankruptcy choices, chapter 13 is the least drastic and, therefore, may be the best choice in your case. You must meet specific qualifications in order to be considered for Chapter 13 bankruptcy. The Illinois means test is used to help determine which method of bankruptcy to file. You must have a regular source of income and some disposable income in order to qualify for a chapter 13 bankruptcy. 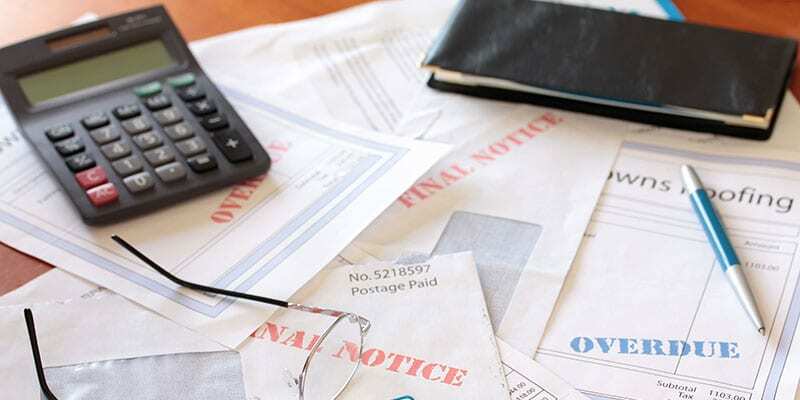 A knowledgeable Orland Park chapter 13 attorney understands the current rules and will assist in determining the best method of bankruptcy for your situation. Whether you have been struggling for a few months or a few years, bankruptcy is often a very viable solution. Do not dwell on the past or hope for a better future. An Orland Park chapter 13 attorney will help you take your financial future in your own hands by making a plan to resolve your debt. With a new start you will be able to begin building new credit by making better money management choices. While bankruptcy will appear on your record, you are taking the steps necessary to make repayment of debt. In just a few short years you will be able to have your old debt paid and be able to begin getting new credit options. When you are in debt, get the lifeline you need to remove the stress and get a new financial start. The first step is to get answers to your questions about bankruptcy from a reputable Orland Park chapter 13 attorney. Your attorney will review your finances with you to provide options that will help you get out of debt once and for all. If you are considering filing for bankruptcy, do not delay. Contact an experienced Orland Park Chapter 13 attorney at Johnson & Johnson, Ltd. Our compassionate lawyers are here to answer your questions and assist you every step of the way. Set up an initial consultation to have a review of your case. Every situation is different so it is helpful to speak with an attorney who focuses in bankruptcy law. Contact us today to schedule a consultation.